There’s mixed news for Australian craft in the latest funding shake-up for organisations by the Australia Council. The organisations that have lost funding are the Australian Design Centre (once Crafts Council NSW), Artisan (once Crafts Council Queensland) and FORM (once Crafts Council of WA). While pleased that organisations supporting craft have survived, it is disappointing that design-makers in NSW, Queensland and Western Australia do not have organisations supported by the Australia Council. They no doubt have strong sources of state funding to rely on and will continue to do good work. But their motives for working on the national scale will be reduced. And this is the key concern raised by the latest decisions. Among the organisations cut by the Australia Council is the National Association of the Visual Arts, who had explicitly taken on the mantle of the national craft platform. The loss of NAVA from the national stage another loss for a sector whose national body was de-funded 5 years ago. Do we need a national platform? There are many reasons why this is essential. It helps engage makers in regional communities, who do not have access to the metropolitan based resources of the state organisations. Without a national platform there is no point of contact for international exchange, thus isolating Australian craft from the vibrant cultures of our region and beyond. And there is no body to support craft as “an Australian story” that tells of what we have made of the wide brown land that became part of the British empire. 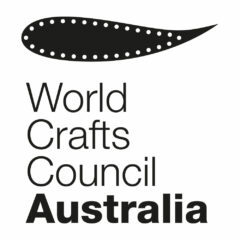 WoCCA (World Crafts Council – Australia) will continue to try and plug this gap thanks to dedicated individuals and partner organisations of the national craft community. Garland magazine provides the sole publishing platform for national and international craft dialogues. This is where it all began more than 50 years ago. It’s a legacy too important to let dissolve into the spreadsheets.